Are you living in a city and can’t afford to move out to a suburb or a town? 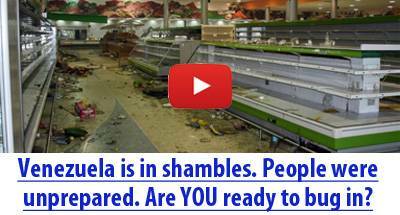 Whatever the reason, you can still prepare. 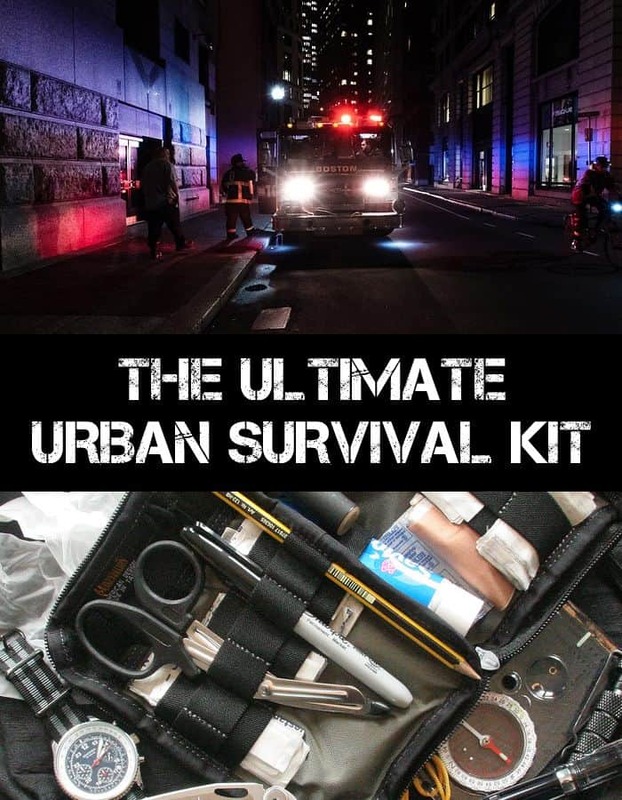 Whether you’re worried about riots, an economic collapse, or just want to be ready for everyday emergencies, the first step should be to put together a customized urban survival kit that’s tailored to your own needs. Urban survival kits are pretty different than rural ones, so let’s go over the most important survival items you should consider getting. Water is the essence of life and, according to the rule of threes, it’s much more important than food. Always have a 500 ml bottle of water, along with a LifeStraw as part of your get home bag. The LifeStraw will help you get clean water from unfiltered sources such as ponds, fountains and lakes. Legally surpassing the standards of EPA Water filters, it can purify 1000 liters of water and removes up to 99.99% of bacteria. A serious competitor is the Sawyer Mini, which is able to purify a lot more water, and comes at a similar price. In addition, keep a 2 liter water bottle in your car’s trunk. Even if it gets hot, it’s still better in an emergency than nothing. When panics sets in, finding water can be a challenge. Throw in a few water purification tablets as well. They’re cheap and lightweight, you won’t feel them in your bag. Hard candy can prove to be bliss in hard times. It could cheer up your kids, and the sweetener present in it will boost energy levels. Also it is lightweight and doesn’t take much space in your Bug out Bag. Energy bars. There are plenty of food bars out there that have a very good nutritional value. Though they may be high in sugars, sugar will give you the much-needed energy burst in a stressful situation. Make sure you check the expiration dates on each, and that you replace them with new ones before they expire. Trail mix. A hiker’s favorite, this food is lightweight and jam-packed with calories and nutrients. You don’t want to pack too much food with you, since the weight will slow you down. You only want enough to last you until you get to a more permanent place, one that has more food or means to procure it. To prep for urban mayhem, be wise and practical. Don’t go for the latest popular gadgets. No need to show off when everyone is running for the hills. Consider lightweight tools with multiple functions. Also, you might have to travel, or be in public places a lot. Knives may get confiscated so it helps to have an alternative handy. A foldable knife is one of the best all-purpose tools that can be easily hidden. It should be a staple in any survival kit, but be sure to check the laws before you add it. In some countries, carrying a knife in public places. Mobile phone and its battery charger, is oxygen for the city dwellers. Even if not on this list, a mobile phone and its charger would be the first thing to put in your bag. In an emergency, telecommunication services are the foremost traitors. Also, why not throw in a solar charger in your car’s trunk, as well as a car charger? When it comes to putting together survival kits, redundancy is your best friend. USB sticks. In this apocalyptic era, a USB stick is the best harbinger of everything. 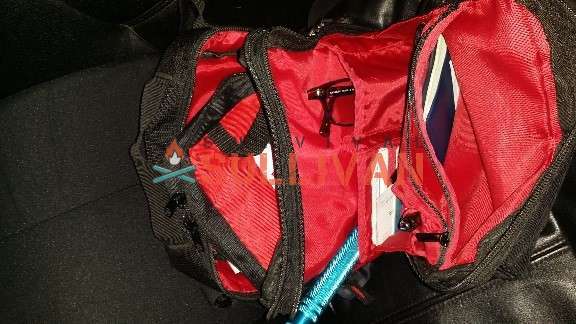 As a prepper, you should always keep a backup of your confidential data, ID proofs, bank papers, passport and stuff. Disposable lighter and matchsticks. Lighters such a Zippos and Bics are not just compact but also better than matches. Keep them both, just in case. In the end, both of them together won’t weigh more than 100 grams. Tasers. In an urban emergency where you have to deal with a bunch of goons, or even animals for that matter, tasers can cripple your enemy quickly. A high-capacity Taser can yield up to 53,000,000 watts of power, good enough to cause paralysis. Flashlights. Small flashlights are great for their size. Whether to cross a dark alley, or decipher a map in the dark, they are a staple in any survival kit, and teh good news is, there are plenty of durable options out there. J5 Tactical Flashlights and Keychain LED flashlights are great options. A gun. The debate of which gun is best firearm is best for urban scenarios is too big to cover here, but suffices to say you need something you can handle even if you’re a woman or an elderly. a whistle, which will help you raise an alarm and cry for help. duct tape can seal opened food packages, put broken glass together, serve as a handcuff, and more. paracord. There’s an endless list of ways you can use Paracord. Also, Paracord bracelets are a great way of carrying gear, because you’ll take some of the weight off your back. emergency space blankets. These are light metal-coated sheets, formerly developed for space travel use but they’ll do one heck of a job in keeping you warm. a small, first aid kit. a little bit of toilet paper in a zipper bag. You can use it for other things, such as tinder, writing something on it etc. bottle opener. They even make small ones you can add to your keychain. a pen and pencil. You might want to map out your route and directions, write down phone numbers and addresses in the absence of a phone, or just to leave someone a message. can opener. 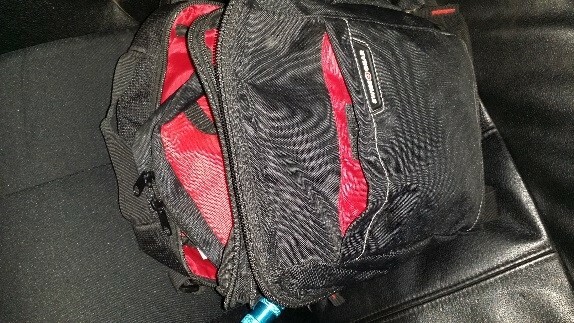 Carrying cans of food in your backpack is not a good idea because of the weight, but you might find some along the way. When you’re surviving the urban jungle along with dozens of thousands of city dwellers, being able to get a quick ride out of the disaster, or getting much-needed supplies are very likely. ATMs may or may not work, so having a little bit of cash on hand could be a lifesaver. Never keep all your cash in one place (like your wallet). Hiding cash in your socks or even your underwear is not a bad idea, either. Spread it out so that you always have some left with you. This is a similar strategy to when you hid lunch money as a kid from bullies, or if you were the bully, the places you checked. Depending on the budget, aim to have at least $50 ,if not $100 in your bug out bag, and a similar amount in your wallet at all times. Aim for smaller bills and change, so you can always pay the agreed price. Your gear needs protection shocks, falling, water, humidity. Plus, you need a container that is lightweight, doesn’t stand out and doesn’t cost a fortune. For your bug out bag, consider a medium-sized backpack. Read more on that here. Skills before gear. All the tools in the world won’t save you if you don’t know how to use them, or if you aren’t mentally prepared to survive. In time, feel free to refine your urban survival kit by adding and removing items as you see fit. The more you think about it, the better you’ll be able to tweak it. Family considerations. If you’re the only one in your family prepping, you won’t be able to save your loved ones unless they too have their own kits, plus the knowledge to survive. Prepping for more people is great because you’re able to buy in bulk things like bandages and even personal water filters. So, are you ready to start putting your survival kit together? Star by making a list. Don’t go off buying pre-packed BOBs because you’ll end up paying more. It’s much better to get and familiarize yourself with each item one by one. It’s wiser to take things seriously now than regret not preparing later on. Acquire all the necessary skills and techniques now. Experiment with what’s new and overcome obstacles by purchasing the essentials and doing the survival drills. Don’t ever assume your kit is perfect, there’s always room for improvement… but don’t spend too much time on it, either, because there are other critical aspects of survival that need your attention.